Lack of attention to early Alzheimer's disease is a tragedy because there are things we can do to help people who are starting to experience memory loss, as well as the people who care for them. Although no cure exists, there are treatment options for those living with Alzheimer's disease that can help to slow the severity of their symptoms, especially if they are diagnosed early. So why aren't people living with Alzheimer's disease diagnosed early enough? One barrier to early diagnosis is that primary care physicians often believe their medical training has left them inadequately prepared to diagnose Alzheimer's early in its course. That leads to missed diagnoses and, in turn, to delayed treatment. By the time Alzheimer's has been diagnosed, patients have often progressed into more severe stages of the illness, and this lost ground is, unfortunately, impossible to regain. 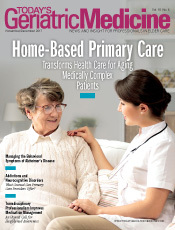 It is critical that primary care physicians be trained to diagnose dementia, especially early, because effective treatments at the onset of symptoms are patients' and their caregivers' only hope for living a high-quality life despite their disease. Additionally, we need to educate the general public to look out for and detect early signs of Alzheimer's disease. The field is sharpening the focus on early detection and prevention. We've developed ways to use brain scanning and genetic measures to identify problems early on, but we need to test more treatments. One of the challenges is that we need to diversify our research portfolio. We can't look at only one type of intervention. A lot of emphasis has been placed on clearing out the amyloid plaques in the brain, but that may not pan out; it hasn't so far, so we have to look at inflammation and other mechanisms simultaneously. Underprescription of medication is another problem. There is a misconception among physicians and patients that the medicines available to treat the early symptoms of Alzheimer's disease—several cholinesterase inhibitors and an N-methyl-D-aspartate (NMDA) receptor blocker—aren't effective. Cholinesterase inhibitors work by increasing the concentration of acetylcholine, a neurotransmitter that carries information from one cell to another. NMDA receptor blockers alter the activity of glutamate, another neurotransmitter involved in learning and memory. Several cholinesterase inhibitor medications are approved for use in the United States, such as memantine, an NMDA receptor antagonist. Multiple investigations have demonstrated that cholinesterase inhibitors and the NMDA receptor blocker offer cognitive, behavioral, and functional benefits for people with Alzheimer's disease. Yet these medications aren't prescribed often enough. These medicines do not cure Alzheimer's disease, but they do help people living with it maintain their cognitive abilities and remain longer at higher levels of functioning. Alzheimer's disease poses real challenges not only for those diagnosed with the disease but also for the 15 million people who assume caregiving responsibilities for loved ones suffering from the disease.2 Caregivers are faced with a multitude of obligations, from tracking medications and balancing checkbooks to assisting with bathing needs and other everyday functions, which can have a huge impact on them. The emotional and economic burden of caregiving is huge, with one of every two primary caregivers developing major depression. In 2016, the annual cost of care was $230 billion in the United States alone.2 Because people experiencing more severe symptoms of Alzheimer's disease experience memory loss and confusion, caregivers become the voice and advocate for their loved one. Properly diagnosing individuals as early as possible and ensuring they take adequate doses of medication—and stick with it—can help preserve and maintain cognitive function. Sadly, these relatively simple measures often aren't applied because of the misconceptions surrounding the treatment of Alzheimer's. It's time to put these aside and take action to alleviate the burden imposed by this terrible disease before it's too late for patients and their caregivers. — Gary W. Small, MD, is a professor of psychiatry and biobehavioral sciences and the Parlow-Solomon Professor on Aging at the David Geffen School of Medicine at UCLA. He is the director of the UCLA Longevity Center and director of the geriatric psychiatry division at the Semel Institute for Neuroscience & Human Behavior. 1. Taylor CA, Greenlund SF, McGuire LC, Lu H, Croft JB. Deaths from Alzheimer's disease — United States, 1999-2014. MMWR Morb Mortal Wkly Rep. 2017;66(20):521-526. 2. Alzheimer's Association. 2017 Alzheimer's disease facts and figures. Alzheimers Dement. 2017;13(4):325-373.